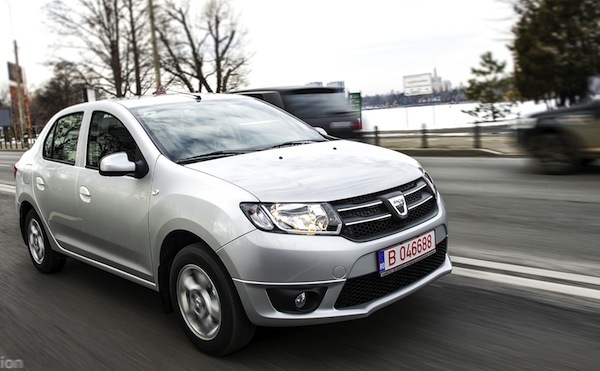 Now that sales of Sandero and Logan are counted together, the model is #13 worldwide. This one is coming a little late, I am slowly but surely catching up on 2013 worldwide articles after spending a bit time tracking down the Top 1000 best-selling models in 2012. While the debate is still raging as to whether the Toyota Corolla or Ford Focus was #1 in 2012 (I made my position clear on this one), in January the winner is the Ford Focus, helped by another very strong showing in China, with 85,684 sales vs. 81,415 for the Corolla. The Hyundai Elantra remains the third best-selling model in the world with an impressive 77,464 sales spanning 3 generations. Below, the ranking gets a bit of a shuffle: the VW Passat is up to #4 at 67,440 units, followed by the VW Polo at 57,274, the Toyota Camry at 56,632 and the Ford F-Series at 55,251. There are 5 additional models managing to sell over 50,000 units this month: the Chevy Cruze, VW Golf, Nissan Tiida, Hyundai Accent and VW Jetta. As promised, I now count the Dacia/Renault Sandero and Logan together as the hatchback and sedan version of the same model, and it now appears at #13 with a whopping 49,434 sales, by (very) far the best-selling French model in the world. Thanks solely to its performance in China, the VW Lavida is #14 worldwide in January. Another very impressive performer this month is the VW Lavida, up from #81 over the Full Year 2012 to #14 this month thanks to a record 48,267 units sold solely in China… A particularly strong month in China lifts the Wuling Hongguang from #57 in 2012 to #15 with 47,765 sales, the ChangAn Minibus from #64 up to #21 and the Wuling Rongguang from #42 to #28. Notice also the Nissan Sentra up from #55 in 2012 to #23 this month, the Fiat Palio/Siena up from #49 to #32, the Ford Fusion (now counted together with the Mondeo as it is the same model) up to #33, the Kia Cerato/K3 up to #34, the Renault Duster breaking into the Worldwide Top 50 at #45, the Hyundai Santa Fe doing the same at #49 vs. #80 in 2012 and the BYD F3 up from #126 in 2012 to #60 in January. Previous post: World Full Year 2012: Toyota Corolla or Ford Focus crowned? Full January 2013 Top 200 models Ranking Table below. World September 2012: Ford Focus #1 ahead of Toyota Corolla!